Along with so many in this city we are shocked and grieved by the tragedy yesterday. We pray for comfort and reassurance for all those affected and suffering at this time. Due to this tragedy we have decided to not go ahead with the Papanui Neighbourhood Fair which was scheduled for this Sunday … View moreAlong with so many in this city we are shocked and grieved by the tragedy yesterday. We pray for comfort and reassurance for all those affected and suffering at this time. 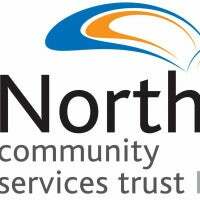 Due to this tragedy we have decided to not go ahead with the Papanui Neighbourhood Fair which was scheduled for this Sunday afternoon at Northcity Church on Sawyers Arms Rd, We apologise for the disappointment and inconvenience that this cancellation may cause families and individuals. However we hope you can understand that we had to make a difficult decision between cancelling, modifying or going ahead with the event..
Are you going? Save the date in your calendar now. See you there. The lovely Camille starts hair-dressing at 9.15am. $10. - $15.00 First come, first serve, take a number. Small cafe offers low cost morning tea - 10am. Hot drinks are free. Are you the parent of a teen (or more than one!) and would like some practical advice under your belt? Check out this course coming up! Over 6 weeks, the Teen Years Toolbox will support you on your journey of letting go and gradually handing over some of the controls as your young person learns … View moreAre you the parent of a teen (or more than one!) and would like some practical advice under your belt? Check out this course coming up! Over 6 weeks, the Teen Years Toolbox will support you on your journey of letting go and gradually handing over some of the controls as your young person learns to fly solo. Although the teen years can be challenging, they can also be some of the best years of your life – and theirs! Have a look at our Facebook event for all the information on dates, costs, and how to register.